The OS maker cited problems with “inappropriate drive reassignment” as the main reason for blocking the May 2019 Update. The solution’s simple: Yank the USB drive or SD card, if you can. The block only happens on 1803 – to 1903 and 1809 – to -1903 upgrades. And you don’t have to worry about it unless you’re trying to upgrade as part of the Insider Program, or using one of the MSDN copies. I never thought much of Sets, frankly. It seemed (and seems) to me to be an attempt to match Stardock’s Groupy. Meh. Putting tabs in File Explorer would be nice (see EJIE’s Clover – which is free), but as far as having windows with a mixture of random apps open in tabs, you can count me out. I do just fine with Chrome and Firefox. So when I read that Sets weren’t coming back, I wasn’t exactly heartbroken. Chris Hoffman over at How-To Geek originally wrote about the demise of Sets on Saturday. He took a tweet from ‘Softie Rich Turner and fleshed out the topic. Turner said, “The Shell-provided tab experience is no more, but adding tabs (to Windows PowerShell) is high on our to do list.” That’s not exactly an official announcement, but it’s close enough. Chris’s article appeared in the middle of a three-day weekend here in the US, and didn’t get much traction. But on Monday, boy howdy, everybody and his brother was writing about it. Much wailing and gnashing of teeth accompanied a description of how Microsoft had yanked this wonderful new feature from our poor, anxiously awaiting souls. Except… nobody bothered to credit Chris. 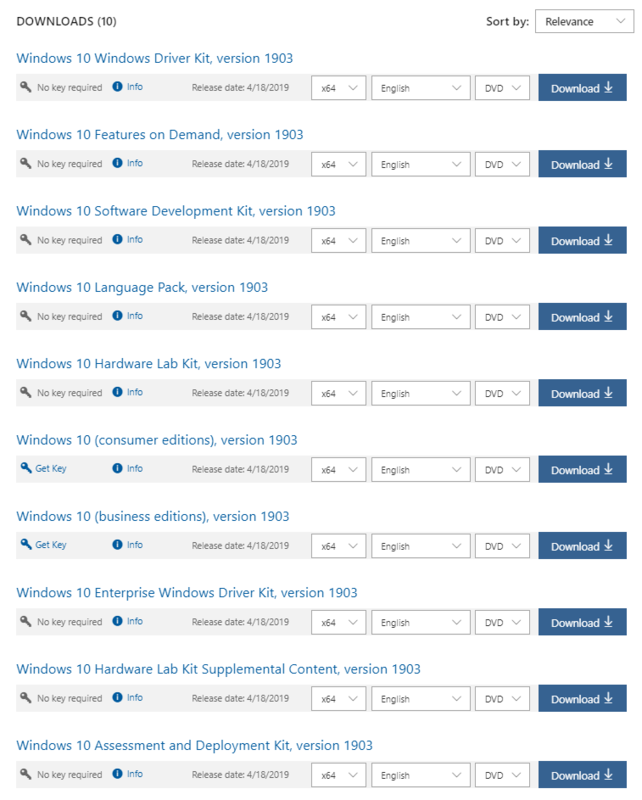 The Windows blog echo chamber articles have popped up like dandelions in my lawn and with a few notable exceptions (Bleeping Computer among them), none of the authors have credited Chris or How-To Geek. It’s a tough business, folks. XPS Writer – wuzzat? Thumbs way down. Unlike my jury-rigged version (see the next post), this one installs clean. Mary Jo Foley has a detailed explanation on ZDNet. I finally got a super-clean copy of Win10 Pro 1903 installed. Local account. No remnants from earlier installs. 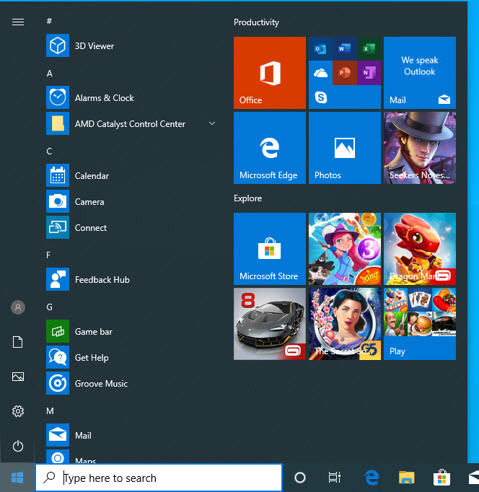 Take a look at the new, improved Start menu. Yes, that’s “Seekers Notes: Hidden Mystery” in the Productivity section.